41 Caribbean Sites for UNESCO World Heritage Status - Caribbean & Co. 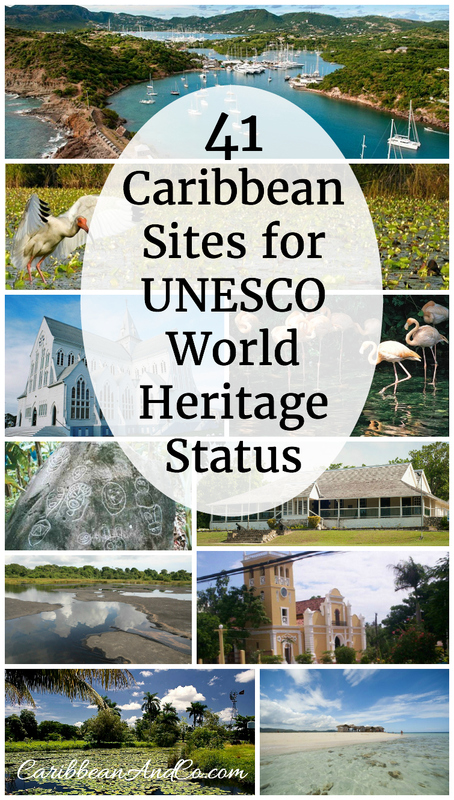 In a previous article, we featured the current 19 Caribbean UNESCO World Heritage sites. Below we list another 41 sites from 12 Caribbean destinations under consideration. Some have been recently added to the tentative UNESCO World Heritage list now at approximately 6000 from 171 countries; others have been under consideration for decades. Whatever the length of time on the list, all 41 cutural and natural sites are worthy of exploration. Codrington College in 1710 was a sugar plantation that began supporting a college. The Society for the Propagation of the Gospel took over and kept detailed records. Molasses drip jars, molds and records make it an archeological treasure. The Scotland District of Barbados has unique features. Mt. Hillaby at 340 metres above sea level is actually the only surfaced part of an underwater mountain range. Most of the Antilles are volcanic rock, but Barbados is sedimentary rock. Mineral formations shaped like cannon balls can be found here. National School of Arts, Cubanacan was built in 1962. It is a marvel of modern Cuban architecture. Made of scarce supplies of bricks and cement, the buildings with Catalan domes taught folklore dancing, drama, ballet, plastic arts and modern dance. Some famous contemporary Cuban artists graduated from here. Cienaga de Zapata National Park is the core of the Biosphere Reserve. Coral reefs, underwater deep canyons, salt marshes and sea grass beds form the complex and fragile ecosystems. It also has salt-water lagoons and a one-canopy mangrove forest with four types of mangroves. Commercial fish also live here. This reef system is 800-km-long system that runs between two archipelagos. It has nine protected areas that house Loggerhead and Hawksbill turtles, and the largest fish populations in the Caribbean. The largest underwater flotsam site and largest iguana populations are found within the site. The Ancient Diego Caballero Sugar Mill consists of a hydraulically tracked sugar mill, a cauldron house and a purge house. It also has a water canal that was drilled through large mountains at the cost of many African slave lives. The canal took six years to complete. Jaragua National Park is one of the largest marine protected areas in the Caribbean. It includes Alto Velo and Beata islands as well as Piedra Negra and Los Frailes cays. It has over 900 km2 of marine area. 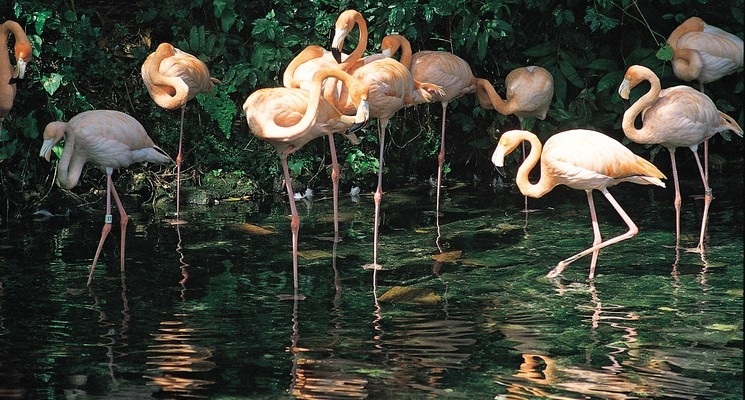 Lago de Oviedo within the part is noted for its diverse bird life including Caribbean flamingos. Parque Nacional de Este is a trapeziform peninsula of over 25 km on top and 11 km on the bottom. The submerged continental plate, buffer zones and islands including Saona cover an area of over 31, 000 Ha. The area also includes one nautical mile of coastline in the proposal. The Ancient Big House of Palave is a monument with a fortified façade, open porticos and half point arcs laying on two columns. The arcs have religious and military elements. The central arc is an Alfiz topped with cornice. It was used for cow breeding by Hector Trujiilo until 1939. The Sugar Mill of Engombe has an engraved date of 1535. It building has a central area with two rooms on the sides, initially used as a living and dining room. The windows have seats at the sides. Originally a hydraulically tracked sugar mill, it was converted to horse drawn later on. Boca de Nigua Sugar Mill was constructed before 1870 by Spaniards. Its cauldron, furnaces and sugar mill follow the Cuban and Haitian examples. There are also buildings including a distillery, a guardhouse and a warehouse. The sugar mill complex is still in good condition. The restoration began in 1978. Montecristi is a historical city with wide grid streets, wooden houses with zinc roofs built in the Victorian style. Most of the streets are paved in asphalt. The economic development and peace of the era are represented by the houses and streets. 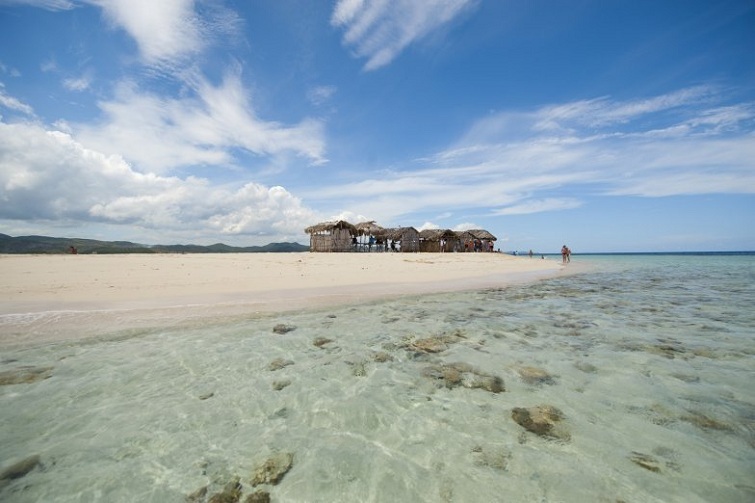 Montecristi is situated beside the beautiful beach of Bolaños. Jacagua, Villa of Santiago contains the remains of a church with a narthex, cruciform pilasters, and fragments of vaults, arcs, and buttresses. Two pilaster bases formed the entrance. Drainage channels can also be seen along with ochavados arms and brackets. The church could have had a high grate enclosure. Archaeological and National Park of the Villa of La Isabela, Puerto Plata was founded by Christopher Columbus. Within the village, the best conserved is the Admiral House. The stone foundation of the first church in America also remains. The colony was abandoned in 1497 due to crop and financial failure and Indian resistance. Archaeological and National Park of Pueblo Viejo, La Vega was started as a fortress for Christopher Columbus. The remains are of the third wooden fortress. This area holds a lot of ‘first’, first minted money, first farmers settling down and first production of sugar cane. 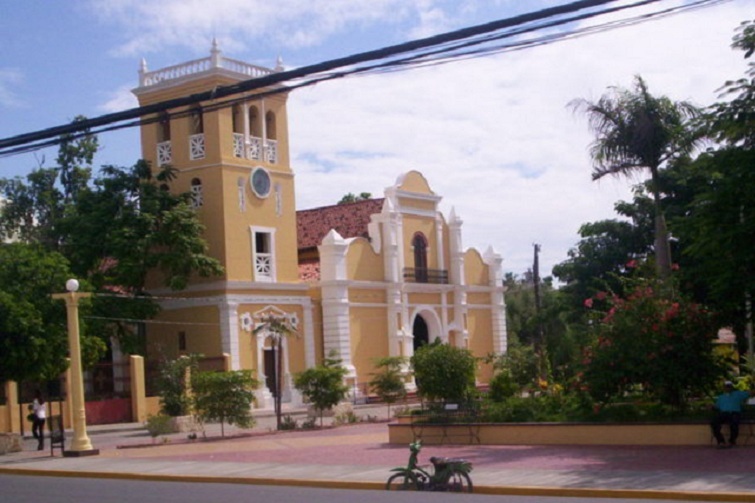 Historical Centre of Puerto Plata encompasses buildings including Embroiders Castellanos, built in 1865, Augusto Benz’ house, 1918, and Carmen’s Church, built in 1927, in addition to about sixty blocks of the town center. There are also ruined walls from the annexation to Spain. The site has great cultural significance. City of Azúa de Compostela was established in 1504 as the village of Azua. It has been plundered by pirates and then destroyed by an earthquake. It was rebuilt and today the ruins show a cemetery, church, and a park. Sugar cane and later, sewing, were the industries here. Grenadines Island Group is a cluster of 35 islands that stretch over 90 km. laying on the South American and Caribbean tectonic plates and the Grenadine shelf. An international boundary runs between the islands, however, the two countries work well together to protect the reef and its biodiversity. Historic St. George District was planned on a grid system with a central square. Brick or masonry houses of Georgian architecture with clay tile roofs attest to new laws after fires in 1771 wiped out the wooden structures. The unplanned areas contain wooden buildings in the vernacular Caribbean style. St. George Fortified System was started in 1706 with the construction of Fort George. Three of eight forts have been preserved. Fort George held the execution of Maurice Bishop, prime minister, in 1983. Fort Frederick is preserved. Fort Matthew was a lunatic asylum and is in bad shape. Georgetown’s Plantation Structure and Historic Buildings were once part of the Stabroeck Road which connected the plantations and military grounds. Remnants of the old plantation can still be seen. Orthogonal streets connect the former plantations. The homes are of finest colonial architecture. Ancient canals can still be seen. 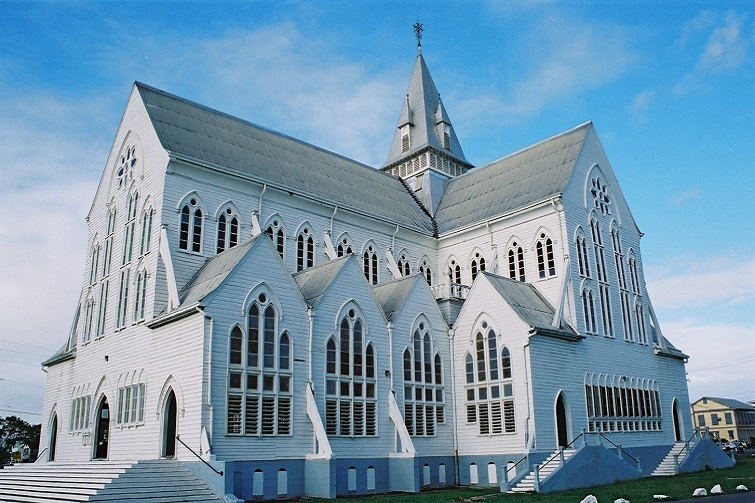 St. George’s Anglican Cathedral was started in 1889. Built in the Gothic style entirely of timber except for the foundation, it’s described as the largest wooden church in the world. Black and white framing in the Elizabethan style shows off flying buttresses, pointed arches, traceried windows and clerestory. Fort Zeelandia was constructed in 1793. The two-story building has bastions on the corners and is surrounded by ramparts. The Court of Policy building is believed to be the oldest building in Guyana. It was solid clay brick with three rooms, a church, slave auction room and Court of Policy. City Hall Georgetown is a great example of Gothic architecture, one of the best in the Caribbean. Built of wood with cast iron columns, it is a fancy dress Gothic, showing off pinnacle, spires and wrought iron crenellation. It also has a steep roof. It was built during 1887-1889. 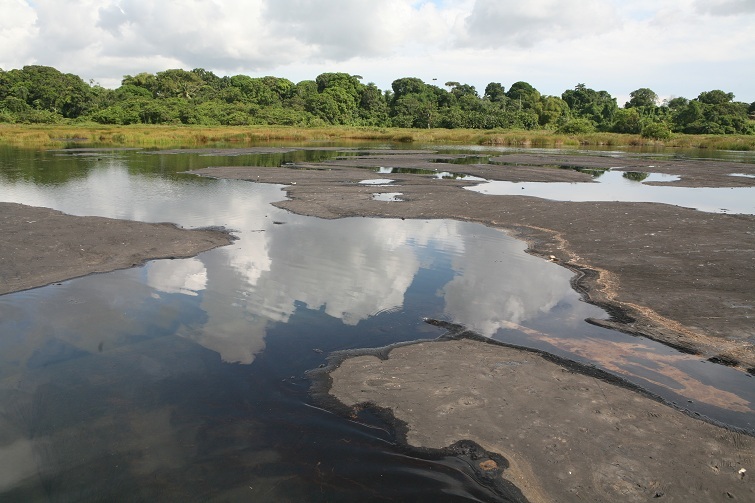 Shell Beach, Essequibo Coast is a 90-mile stretch of shell-covered beach. It is the nesting ground of four different species of marine turtles. The Green Turtle, the Leatherback turtle, the Olive Ridley, and the Hawksbill all make their nest and bury their eggs along the sand of this beach. Founded in 1698 by the Compagnie de Saint-Domingue Jacmel, the city lies on the left bank of the mouth of the River Cosse or Great River of Jacmel. It is the capital of the department of South-East and administrative center of the district of Jacmel. Like 1895 when a large portion of the city was damaged by fire, they are once again rebuilding after the damage caused by the 2010 earthquake that hit Haiti. 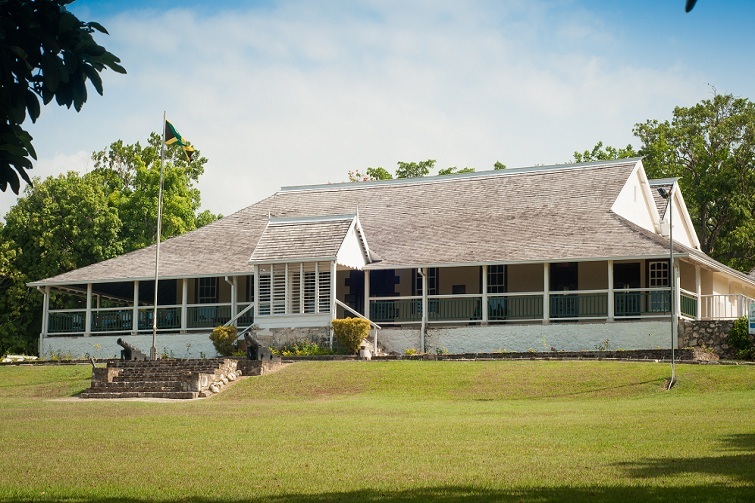 Seville Heritage Park is known as the birthplace of modern Jamaica. It is a culturally rich site, which has been occupied since prehistoric times. Archaeological remains of a Taino village, a Spanish settlement, and a British sugar plantation have been found here. The Underwater City of Port Royal is known as the ‘wickedest city on earth.’ Once the most important trading post in the New World, it was a place of pirates, looting, and devastation. The city was sunk by an earthquake in 1692. It remains today perfectly preserved under water. Blue and John Crow Mountains National Park is an area over 193, 000 acres. This park encompasses three mountain ranges, Blue and John, Crow and Port Royal. It contains the highest peak in Jamaica. The rainforest are diversified and have a threatened status. The forest is a wildlife haven. Historic Zone of Basseterre was the first French town in the Caribbean. It later became a British capital. The oldest part is architecturally French, while the other areas are combined with English architecture. There were two ports, a cargo port and a passenger port. The City of Charlestown which was established in 1660 has many 19th century buildings of Georgian architecture. Half of the structures that remain were built between 1850 and 1900. Nevis today is the commercial and business center of Charlestown. The new buildings are built in the same Georgian architecture. Rock Art of St. Vincent and the Grenadines are a type of petroglyphs on boulders of andesite. 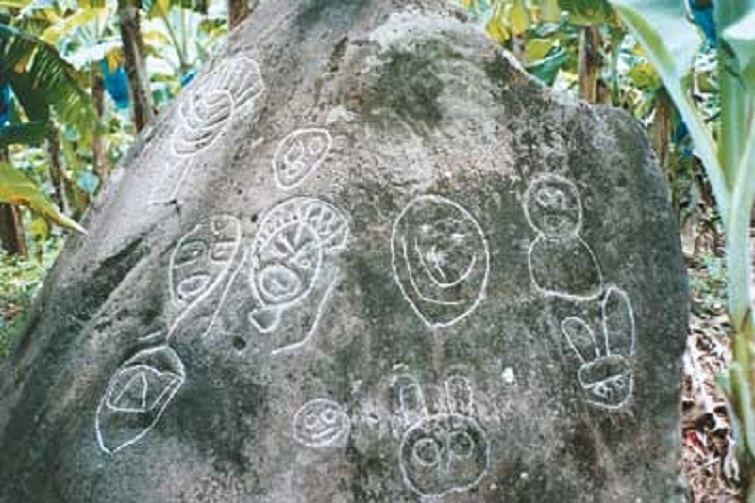 Small, anthropomorphic faces, polissiors and geometric shapes make up the petroglyphs, which have features of Antillean and South American petroglyphs. Layou is the largest of the petroglyphs. Grenadines Island Group is a group of islands between St. Vincent and Grenada. The natural boundary is the Grenadine shelf. The international boundary runs between Petit Martinique and Petit St. Vincent. Fishing, island life and tourism are unhindered by boundaries. Reef biodiversity is supported by both of the islands. The La Soufrière National Park covers one third of the island of St. Vincent. It is covered with rivers, hot springs and craters. It also has La Soufriere, an active volcano. St. Vincent is composed entirely of volcanic rock. La Soufriere is a Geoheritage site because of its geological nature. The Settlement of Joden Savanne and Cassipora cemetery still hold the ruins of the oldest synagogue in the Americas. Spanish, Jews and pioneers of American Judaism were welcomed to Suriname. The cemetery holds hundreds of tombstones dating back to 1667, some marble or brick. Many are beautifully ornamented. Banwari Trace Archaeological Site sits on the edge of the Oropuche Lagoon. The Banwari were shell collectors and the site shows changes in the natural environment around them. The shells show a change from fresh water to lagoon to a marine mangrove swamp around 6200 BP. La Brae Pitch Lake is found in La Brae and is over 100 acres and 250 ft. deep in the center. It is 1200 yards from the ocean and holds 10 million tons of pitch. With a slow ‘stir’ to the lake, prehistoric trees can appear, disappear and reappear. Tobago Main Ridge Forest Reserve has tropical rainforest over 9780 acres. The lower montane regions receive the most rainfall, making them an Evergreen Forest. The xerophytic forest is the driest part. The main forest is a habitat for many mammals, plants and reptiles, with 24 species of non-poisonous snakes. Top Photo: Ciénaga de Zapata National Park.